That might not be a popular word or concept in a world that is becoming increasingly polarized. In this world you are either on the left or right. Republican or Democrat. Jordan or LeBron. Yanny or Laurel. Is it possible to see both sides? Can we have a nuanced discussion? I’ve personally found discussions around this issue to be quite polarized with a lot of misunderstanding all around. I hope this article can help movement towards a more nuanced conversation of (and not by any means resolving) the issue of ethnicity and culture inside the church. One of the helpful ways we can do that is through actual dialogue and discussion. Let’s “model” loving dialogue by listening in on two hypothetical conversations which are based on various conversations I have had in the church. ﻿White-Guy: Indian-Guy, you know I love you, right? But I just have to ask, why do you continue to stay with your own Indian people at your church? I really wish you would come to see the Gospel implication that Ephesians 3 talks about: The dividing wall of hostility has come down, and we are all now supposed to be reconciled together into one church. Why don’t all you guys at the Indian Church start coming to Multi-Ethnic Church? Indian-Guy: White-Guy, I know you love me and I appreciate all God is doing through you all at your Multi-Ethnic Church. But, White-Guy, can I point something out? I used to go to Multi-Ethnic Church and I loved it. I needed it, especially because I needed to hear the Gospel and be discipled at your church. All the other Indian attendees and myself were growing, and some of us were even serving - doing things like ushering and helping with parking (which we were really grateful to do!). But over time, you know what started to happen? A lot of us started stagnating. Because as we looked up front, we noticed everyone was White. It’s not that we resented that, but it implicitly reinforced to us what we feel every day living as minorities in this country - that we can learn and receive, but we don’t really have much to give. So, we stayed passive. We didn’t take ownership. We didn’t step into leadership where much of the growth God wants to give happens. Not only that, we started to realize over time that, while we deeply loved the Gospel truths which were proclaimed, we also realized it was coming delivered to us on “White platter.” The speaker’s tone and topics were good but a little off-center for us. He couldn't understand what it was like to grow up in an Indian church, the pressures and complexities of the home, and how angry our parents were at us for leaving our home church. The worship service and songs were wonderful, but they also lacked the reverence, symbols, and sacraments we grew up with weekly, which were used to bring us into deeper communion with the Lord. And then our small groups always meant so well, but the jokes and conversations would always make us feel like we were outsiders looking in, but no one ever noticed because we would always smile and laugh and nod our heads. I know there’s a lot of ethnicities represented at your church which is amazing. But I think you have to understand there’s still a dominant culture at your church that makes it hard to feel like a minority is ever “at home". And that’s not a problem if God’s called us to your church. But I just want you to know, when you attend or you invite family and friends, you all probably constantly feel “at home”. So think about this: Don’t you think it is strange that a church that is 80% White and 20% minorities is called a “multiethnic church” and is celebrated, but if there is a church that is 80% Indian and 20% other ethnicities, it will always be called an “Indian church” and is made to feel like a church is “less reflective of the kingdom”? Is that fair? And so, I just wish we were not criticized for being ethnocentric for building a church that felt like a “home” for Indians, as long as other people of different ethnic backgrounds could be invited in. 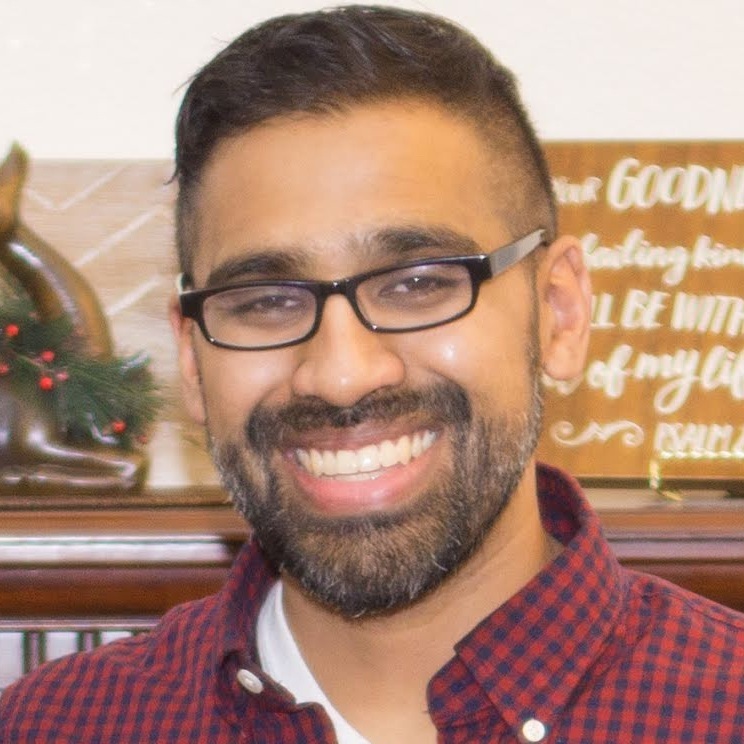 Indian-Guy: White-Guy, seriously, I’m tired of all the conversations and criticisms being made about the church needing to be multi-ethnic. We all love Jesus, and yet we all also have distinct cultures and languages and needs. Why can’t people gather to worship and reach the people they most naturally are able to in the local church? It’s honestly strange and even hindering to the work of the Gospel to try and unnaturally force people together. White Guy: Indian-Guy, I know it’s hard for me to fully understand the minority experience and you’ve explained that to me, and so, I know there is tremendous value for you to worship and love and witness inside your own cultural context. So, Amen and Amen! But, if I can share a few thoughts to chew on? You’ve said that when you visited Multi-Ethnic Church, you felt that it was an unnatural experience for you, but at the same time, you always felt welcomed. But, I have to say in my experience, and I think in the experience of a lot of outsiders, when we came to Ethnic-specific Church, we not only felt unnatural but often also unwelcomed. We almost felt like we were being tolerated, but it was probably better if we didn’t come. I’m not sure there was a category to fit us into within your church because it was so strongly focused on Indians at your church. But, as a brother, I just want to suggest that while there’s a part of church that we go to experience comfort and home and belonging, there’s also an opposite tension that causes us to pursue people who are unnatural to us and make us uncomfortable. The Gospel is such that Christ left the comforts of heaven to incarnate human flesh and enter our earthly home to come to us. So, can I humbly ask and challenge, how do you think the Indians at your church are being discipled in not only finding their Indian-Christian identity, but also in finding their identity as cross-cultural missionaries? Not only that, but I believe another reason God calls us to cross-cultural relationships is because there is a greater fullness of Christ we can experience through that. The reality is that we all have blindspots personally and culturally. I know that I do as a White Majority-Culture person. Through my friendship with you, I’ve been so challenged in thinking about what it means to honor parents and elders and to think communally, not just individually. Might I suggest that some positive things that other cultures might bring to Indians are seeing the importance for standing by conviction even if it might not please everyone? And also, the importance of words of encouragement and love on top of the acts of loving service? But do hear me out - I’m not saying that your church has to suddenly become multi-ethnic. I know there’s a tension here and great value to ethnic-specific churches. But, I’m just advocating for the Church of Jesus Christ to not just merely tolerate one another and stay in our cultural and ethnic silos, but actually make wise and incremental, yet intentional efforts to pursue one another. And in doing so, I’d hope we realize that: “we’re better together than we are apart.” Or, we might even say like Jerry McGuire: “You complete me.” And finally we might have a powerful witness to the power of the Gospel to our divided world. Brother, that’s something I’d hope would happen in all our churches. I hope we see through these conversations that there is tremendous complexity in the issue of ethnicity and culture in the local church. These conversations probably even create more issues than giving clean solutions! But hopefully, we can at least see how thinking and talking in polarized terms will not ultimately edify and serve the church. Instead, may nuanced conversations on ethnicity and culture inside the church begin - for the glory of Christ and the beautification of His Church! Tony Thomas is an associate pastor at Covenant Fellowship Church (CFC) near the campus of University of Illinois at Urbana-Champaign. He oversees college students along with various ethnic-specific and international outreach groups. He graduated with a Bachelors of Chemical Engineering from the Illinois Institute of Technology (IIT) and worked in industry for about five years as he completed his Master of Divinity from Columbia International University (CIU). He is a big fan of Chicago sports, but especially the Bulls, and also loves playing basketball whenever he can. Tony is married to Marilyn and they are proud parents of three children - Joy, John, and Joshua. Newer PostHow Can the Church and Artists Work Together? Older PostHow Can the Church Be an Unstoppable Power for the Gospel?